Applicable to leather shoes, sports shoes, purses corner sewing. 1) Slider linkage pickup, vertical rotary, to form double chain stitch. 2) Upper and lower axis adopt spiral bevel driven to ensure precise positioning, low noise, stable operation. 3) Maximum speed up to 2500rpm to improve work efficiency. Looking for ideal Double Needle Post Bed Heavy Duty Sewing Machine Manufacturer & supplier ? We have a wide selection at great prices to help you get creative. 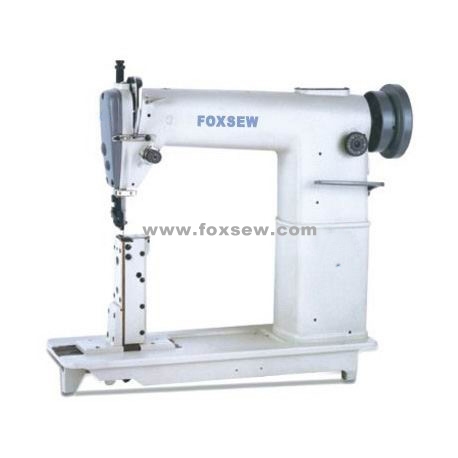 All the Post Bed Heavy Duty Sewing Machine are quality guaranteed. We are China Origin Factory of Post Bed Heavy Duty Lockstitch Sewing Machine. If you have any question, please feel free to contact us.